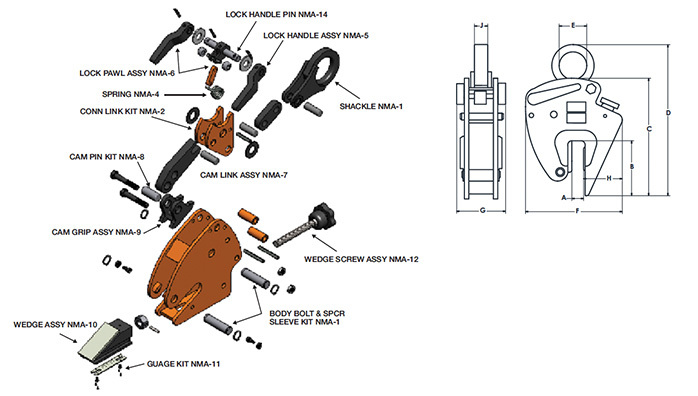 The Model NMA is a non-marring clamp with smooth gripping pads that can lift hard surface materials. Materials with sensitive finishes such as stainless steel, copper, aluminum and polished metal plates can also be lifted. 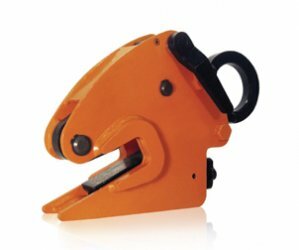 The clamp incorporates a locking feature which enables the clamp gripping jaws to be “Locked Open” for attaching and removing the clamp from the material being lifted and to be “Locked Closed” for turning material through 180 degrees. It is recommended these clamps be used in pairs.